Mick Jagger walked out of Hotel Saratoga twenty minutes past noon on Saturday March 26, and left Havana escorted by police motor cycles with blue lights. The rest of the band and the management left around the same time. I had my last night at the Saratoga because the Sevilla was full tonight. Most fans and friends were on their way back home, and I had a flight out of Havana early moning Sunday. This was my last day in Havana, and my last day on tour. When Mick walked out of the hotel door, as I was watching the crowd outside from the lobby, the tour was over for me. The band was on their way back home, and so was I, soon. 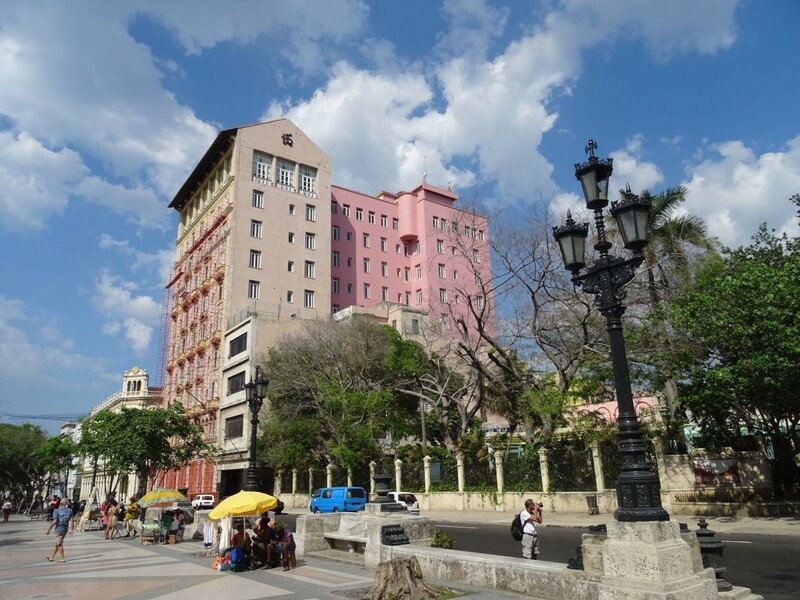 Hotel Sevilla Havana Cuba is part of the Mercure brand, under the French Accor chain. 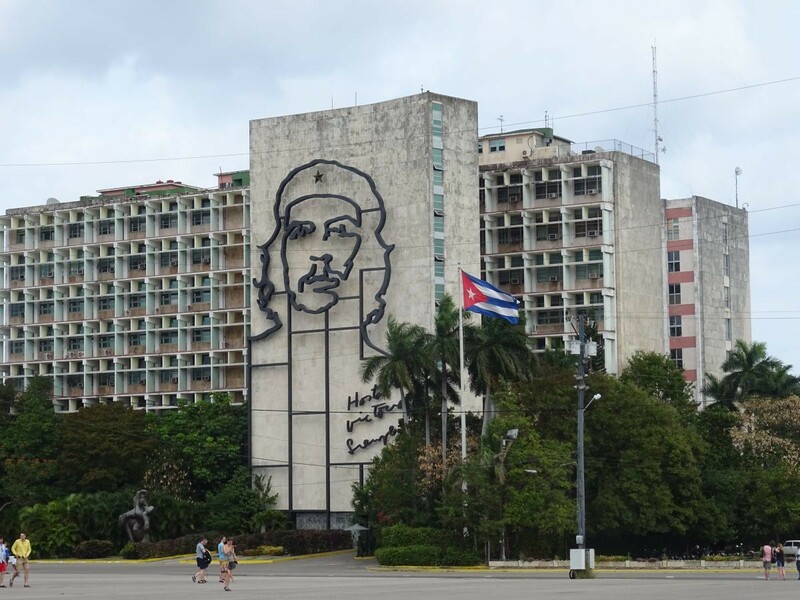 If you ever go to Havana Cuba, then make sure you vist this hotel. It is a truely hidden gem. I stayed at the Sevilla for eight of my nine days in Havana during the Rolling Stones travel March 2016, and that was my third stay at the Sevilla since 2000. It is still my number one Havana choice, and I will return to Havana Cuba and the Sevilla some day for sure. Even if you just do a day visit, make sure you enjoy this great originally Biltmore branded hotel, where once Al Capone and a bunch of other well known names used to hang out, before the revolution that is. 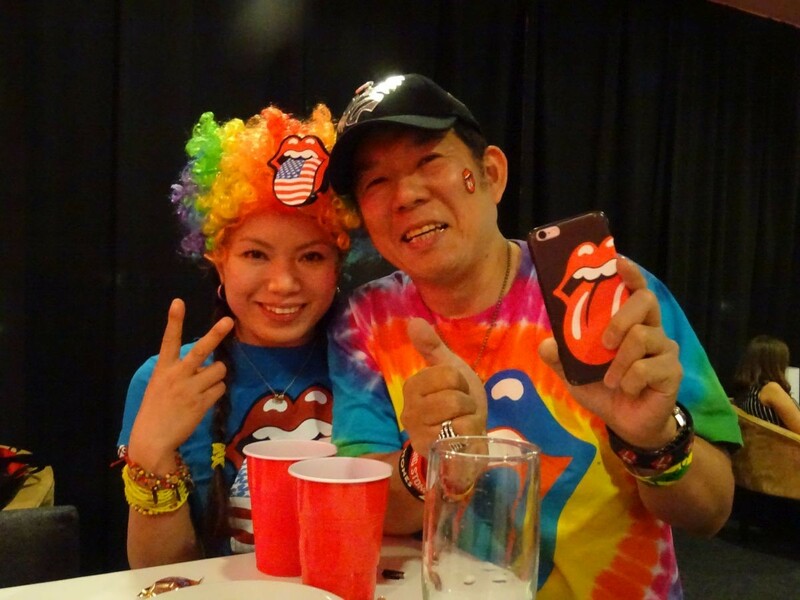 I have seen every show of The Rolling Stones tour in Latin America. This was a new crowd, the Cuba crowd was a “virgin” crowd. 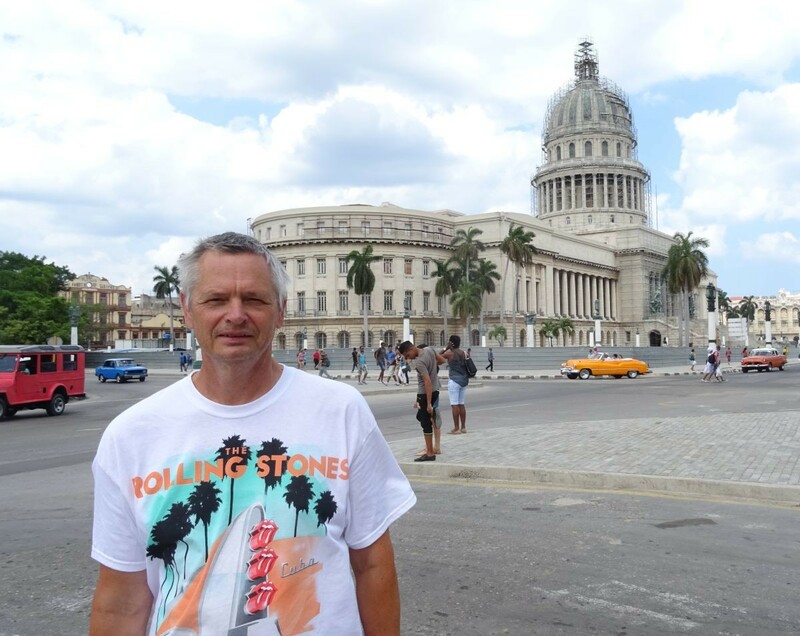 The Rolling Stones have never been to Cuba. I expected the same kind of crowd we had in Montevideo Uruguay, Porto Alegre Brazil, Lima Peru and Bogota Colombia. The “new” crowds in South America were curious, pleasant, relaxed, and you had lots of space in the crowd. 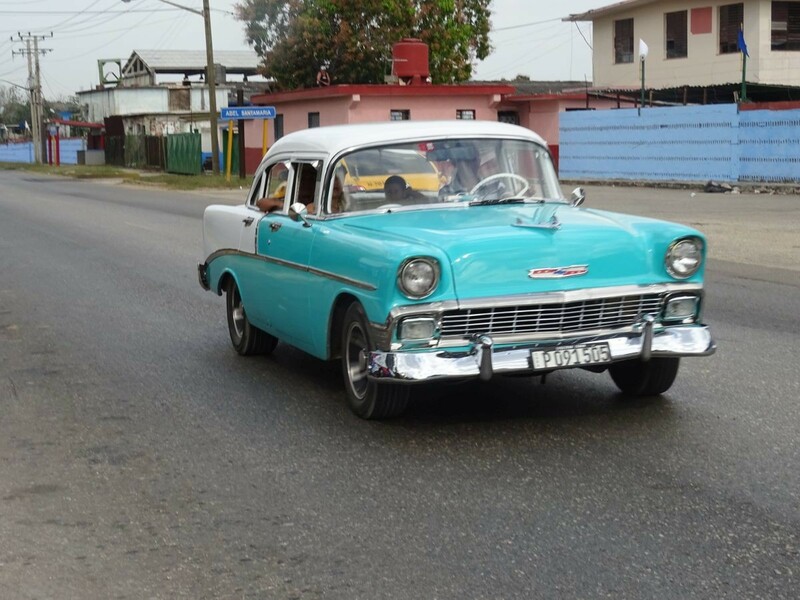 But I have been in Cuba a few times, I thought may be I should go early to the show. Friends asked me what my strategy was for Cuba. I did not have any strategy until the day before the show. Then I was in for a front row position. It is Thursday March 24 – the day before the day. 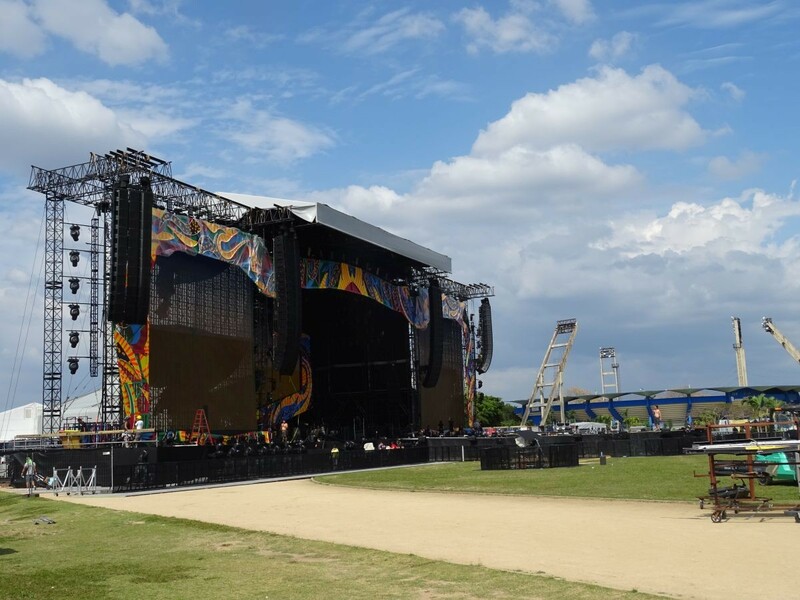 The Rolling Stones are expected into Havana Cuba this afternoon, and I go out to the concert area to check out how it looks like since I was there last Friday. An open air Coco takes me there in 20 minutes. I meet friends and fans, there are now approx 200 people out there plus the crew of some 300 people working on the finishing parts. The sun is up and it is hot, +34 C i.e. 100 F.
The city of Havana Cuba has not changed much since my previous visits in 2000, 2007 and 2008. I am sure there are many changes as seen from the local people who live here, but as seen from a tourist point of view, it is the same good old Havana Cuba. Havana is a large city, with two million of the eleven million people of Cuba living here. 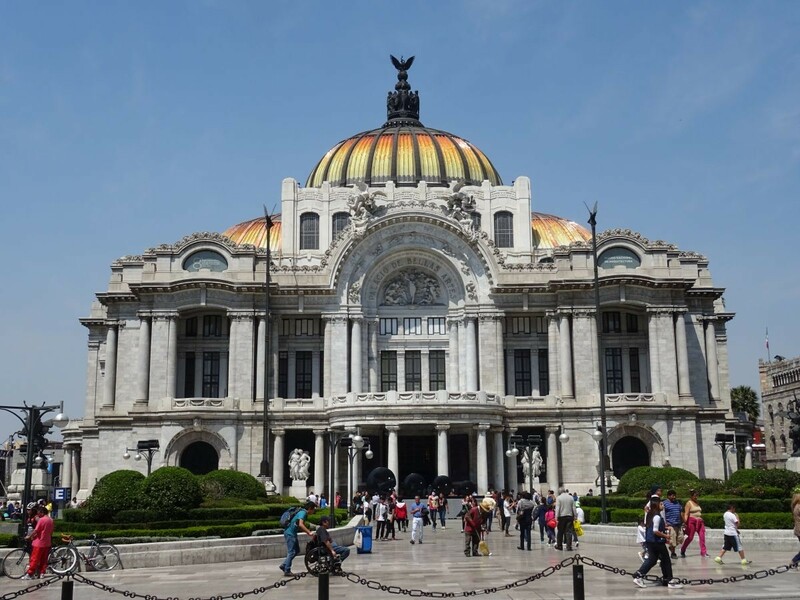 The slow pace, the unique life style and classic buildings, cars and life here is calling upon any visitors for a soon return. 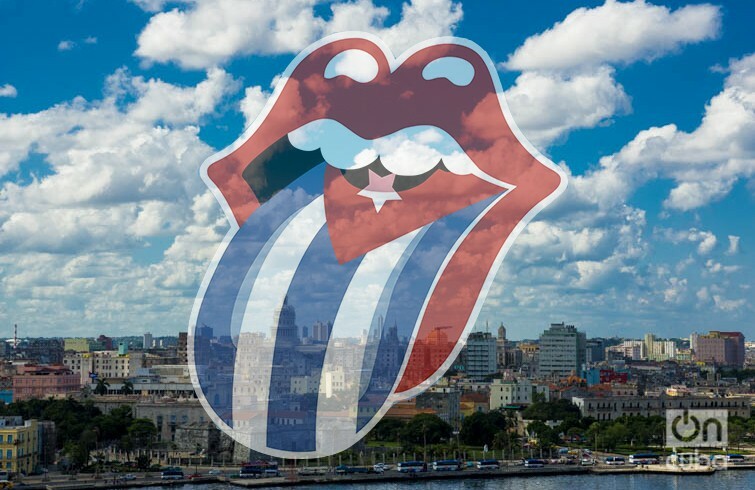 Havana Cuba March 18, 2016: The second Rolling Stones show in Mexico City was so great. I was pumped, and I worked with my photos and the report until 3am, slept three hours, and then woke up at 6am for breakfast, packing, leaving for Cuba. By 7am I was in the airport shuttle, and 10 minutes later we were on the airport. Interjet wanted us to be at the airport at least three hours before international departure, so I had plenty of time to work on the airport until the 11:15am departure. 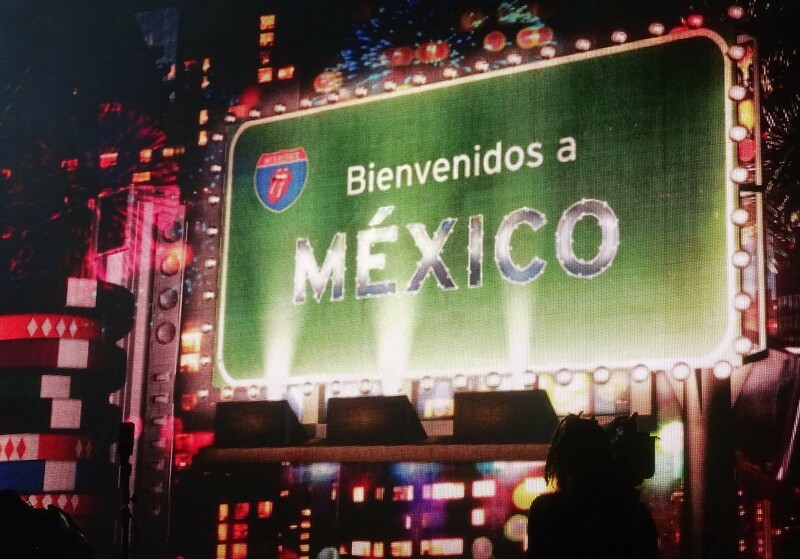 The Rolling Stones show number two in Mexico City Thursday March 17, 2016 was so different from the previous show on Monday. First of all the crowd was just fantastic. Secondly the mood on stage and the smiles and great interactions were unique. Add Mick Jagger spending all his extra energy on stage, Keith tuned up to maximum, Ronnie closing his eyes belting out the most beautiful solo playing, and Charlie keeping the engine running, plus the entire band on fire, and you have a show to remember for a long long time. The first of two Rolling Stones shows of the Ole Tour 2016 in Mexico City was on Monday Mach 14. I was staying half an hour walk away, so it was easy to get to the show, in theory. For real, I had to walk for a couple of hours, because they had arranged the entrances in such a special way. Anyway, I got to the venue around 7pm, still plenty of time before the show start. 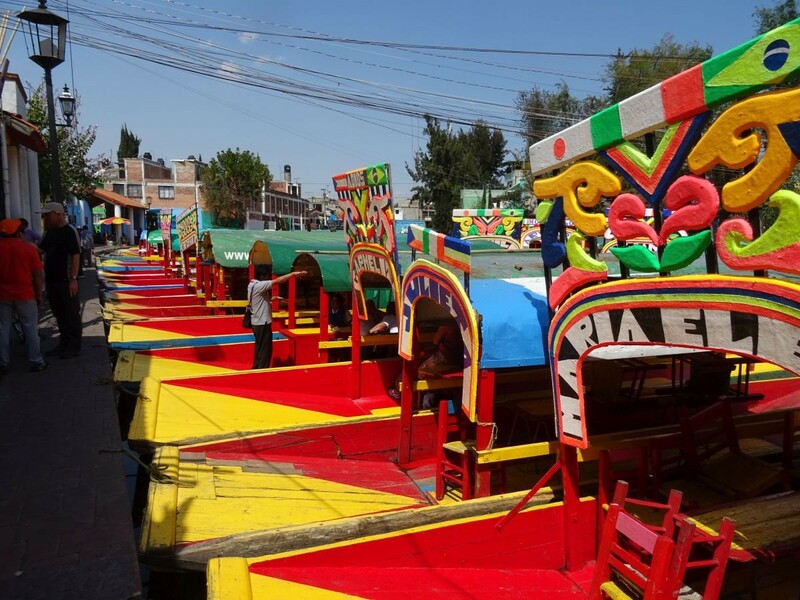 The travel from Bogota, Colombia to Mexico City, Mexico took all day, even if it is just a four hour flight. Avianca gave me some airplane food I should never have taken. By 9pm Saturday evening March 12 I was all settled in at the Holiday Inn Dali Airport, a hotel I soon had to get rid of.